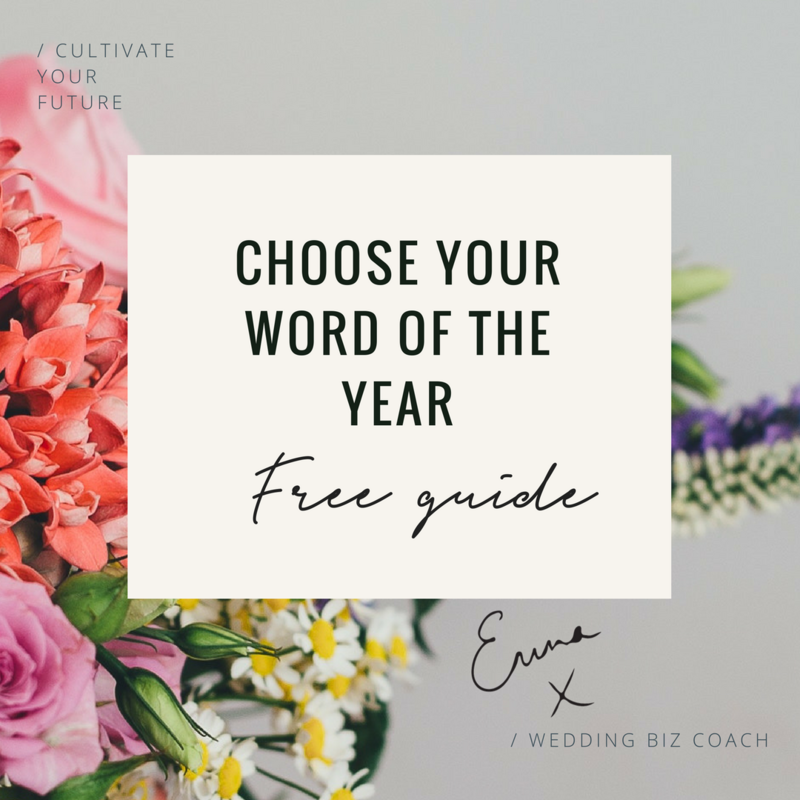 In today’s blog post, I am talking about how you can choose your word of the year, if it is something that you feel will work for you. Having a word of the year is something I have done for the past few years and again something that I will do again this year because it benefited me so much. Your word of the year is kinda what is sounds like – it is a word (or a couple) that you live by as you go through your year. It is about how you want to feel, how you want to be as you go through your year. It is kind of a replacement for resolutions. You see with resolutions there is success or failure – you either make them happen or you don’t. And if you fail (which, let’s be honest – who has EVER stuck 100% to a resolution if there were being really honest with yourself) then you give up and feel the same as you did the year before. With a word of the year you use it as a filter for everything you do, and you can flex the meaning to what feels right. I think about what I want more of in my world. What did I feel was lacking last year in my business and in my life? What do I crave? I think about what the year has planned for me – are there any key events that are happening that will affect your world in a big way? I think about how I want to develop personally, how do I want to BE as I move through 2018. I think about where my business is and what stage I am in on my journey – what do I need to focus on to move to the next level? To find these answers, I like to journal on the prompts above. For me, journaling allows me to free flow onto the page with no filter and no judgment. Journaling is a time that gives me space to let my thoughts wander, and I often get my best ideas from this. Once I have journaled on these prompts I look back through my journal and highlight any words that stand out to me. Anything that feels right. I then think about what that word really means to me. How it makes me feel. Does it excite me or not? Does it make me feel nervous or anxious? I let this sit with me for a while and see what keeps coming up, what feels right. It may be that some words can be covered by an overarching word. 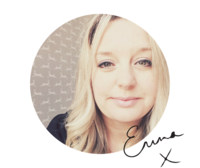 For example, you will see when I talk below about the words I chose for 2017, one of those was simplicity and for me, this covered a ton of things that I wanted to feel in my business and in my life, including organised, ease, white space. Choosing this one word meant all of these things to me. You have to tune into your intuition with this and don’t force it. If you haven’t got your word sorted by 1 Jan, your year is not going to fall apart! I spend the first week of Jan doing this work because I find that it works best for me. For me last year I had three words. One was a main word and two where supporting. SIMPLICITY // I felt that my world had just got too complicated – too full. My house needed a good declutter and so did my business. I wanted to simplify what I did to make everything easier. Ease was an important focus for me and Simplicity encased that in the meaning that it had for me. White Space was important for me and again, Simplicity covered that for me. All year I use this word to draw me back and it worked. Seriously it worked. When I did anything in my home I had the intention to simplify it – did I really need another duvet cover? I would only buy it if there was reason and I would replace it will an old one so as to not clutter my space. When I did anything in my business I looked at whether I was doing it in the simplest way. Often, I was not so I made some big changes and this covered another aspect that I wanted to deal with – organisation. Simplicity did this for me. NURTURE // I felt that last year I needed more nurture. Nurture of my clients, my business and myself. I had built a really strong and loyal group of clients and I really wanted to nurture them more – give more and really see them grow. I felt that my business needed a little bit of love and nurture instead of working it too hard and getting exhausted. And I felt like I needed more nurture in myself, in my body. I had been working too hard and not looking after myself and this was starting to show to me and I needed to change that. Every time I did anything in my world, I would ask myself “Will this Nurture me?”. This included what food I put into my mouth, what people I spent time with, what activities I did. It has a major impact on me and my life. GROWTH // Growth was the third word I chose for 2017 and this linked to my personal growth as an entrepreneur and my business. I wanted to see continual growth with my business and this was the next logical step in my business journey. Growth to me didn’t just mean financial growth, it meant growth in the strength of my business, the audience I had drawn to me and growth in my content and visibility. I hope this has inspired you to think of creating a word, or two, to carry with you through 2018. For clients that I have worked 1:1 with and in my coaching group, this was a task that you would have been set to do so look back and see what your word was last year and what difference it made. If you didn’t live by it, make this your year to do it because it has a bit impact, trust me. 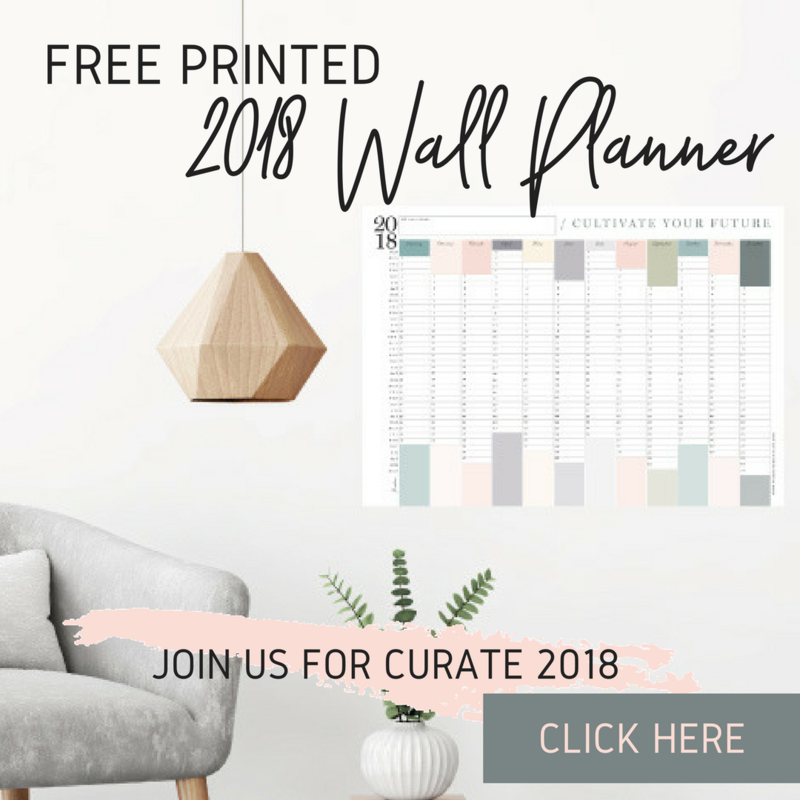 So, go and discover your word(s) of 2018 and if you need some help or inspiration, I have a one-pager that has a list of words on it to help you be inspired to find your own. When you have chosen your word(s), and remember, don’t force it! Let me know what it is and I will create a little screensaver for you so you can see it each and every day. Over 5 days we will work together, online, in a group mastermind to lay out your plans for 2018. Each day I will come into the private closed Facebook Group live @1pm and teach one lesson and give you some actions to take that will mean, in just 5 days, you will have your entire 2018 laid out in a way that works for you, in a way that works for your business and the way you work within your business. There will (of course) be a super handy and beautiful workbook. The group will stay open for the year so if you cannot attend live you can watch the replay and take action – and come back and refresh 6 months later if you need to! At the end of the mastermind you will also get a really valuable tool that I use in my business to plan out projects and make them happen. This is a simple offline tool that you have total control of, but one that has been invaluable to me (and one that I have never shared before). I will also give you two extra tutorials, one on Trello and one on Asana. These are two tools that I use in my business and you may want to consider them aswell. Making time for what matters to you in your world.